Often stuttering is seen as a hindrance, perhaps even a disability. When most people are asked to name successful stutterers they tend to mention men like Joe Biden and Jack Welch. They marvel at the confidence and prestige of those stutterers who have somehow overcome their condition, whose voices no longer betray their speech difficulties. But if we look a little closer, the truth is more complex. In my research for Out With It I saw that many people who stutter end up being quite successful, gaining respect in everything from the boardroom to the basketball court. There were certainly those who were dissatisfied and unfulfilled, but those who were successful were not always those who had conquered their stuttering. Those people who had both excelled, and continued to stutter, seemed to have certain traits in common. I will explore traits of resilience in my next post but today I’m looking at the idea of embracing powerless communication, how it specifically relates to stutterers and how everyone can harness its power to generate trust and respect. 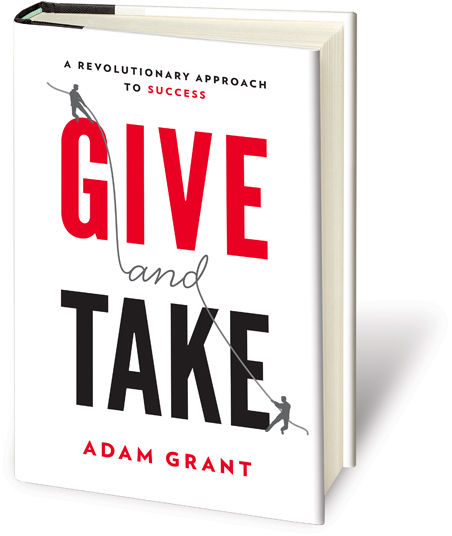 I first came across the concept in Adam Grant’s New York Times bestseller Give and Take. Grant is the youngest tenured professor at The Wharton School and a prolific academic in the area of workplace dynamics. His seminal book gives remarkable insights into what actually works in communication. In his chapter on the power of powerless communication, Grant argues that, when it comes to collaboration, we are more inclined to hire, promote and value people who communicate powerlessly. This includes: talking tentatively; asking people questions (giving them the joy of talking), specifically asking them for advice; and being open about our vulnerabilities and weaknesses, not just our strengths. The first two are relatively easy to understand and implement, I find the latter the most intriguing. It is worth exploring through the lens of stuttering. When writing Out With It I discovered how often people are drawn to stutterers, how likeable they seem to be. At first I balked against the discovery, worrying that the attraction was perhaps born of pity. However, the more people I spoke to, the more I realised it was the opposite – they were drawn to the stutterer’s courage and lack of artifice. In a world full of noise and nonsense, stutterers were seen as somehow trustworthy and genuine. Because their speech had nothing to do with their competence, it did not demean them in their audiences’ eyes. Rather it raised them up. The idea that something that we often perceive as a weakness can actually be an important asset was a personal breakthrough, but Grant proves that the idea is applicable to anyone wishing to improve their communication. Everyone has a weakness, whether it be their weight, their height, their looks, their clumsiness etc. Often our weaknesses have nothing to do with our competence, but we try to hide them to appear in control or knowledgeable or attractive. In actuality, when we speak in a way that reveals our shortcomings and expresses vulnerability, people can relate to us as a human beings. They are attracted to us. What do you think? Would you ever share your weaknesses and vulnerabilities in the work place? This entry was posted in book review, courage, happiness, Out With It, speaking, Stuttering, vulnerability by Katherine. Bookmark the permalink. Good point. Your post should give stutterers the courage to not hide their stuttering. But it is still a challenge, because it is so ingrained. Thanks again for writing “Out with It”.